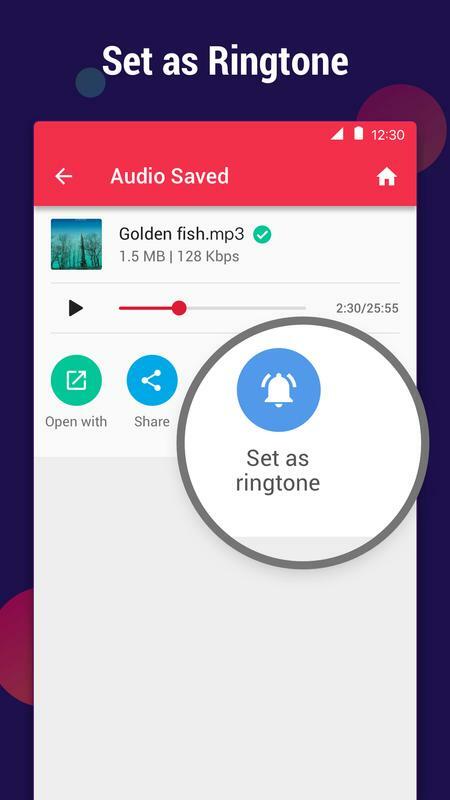 Convert mp4 to mp3, video to audio and create your own ringtone for free! With Video to MP3 Converter, you can cut and trim video files and convert video to MP3 & AAC with many options. You can extract high quality mp3 songs from video FAST. 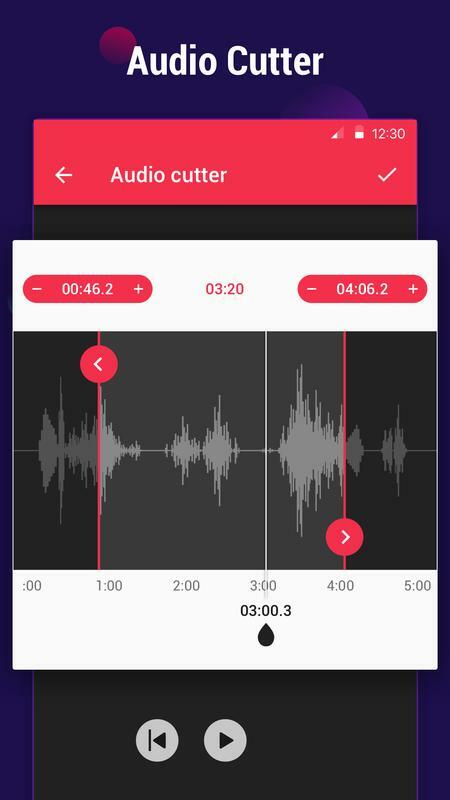 ● Audio Cutter & Video Cutter. ● Support MP4, MKV, FLV, AVI, WMV, etc. ● Support mp3, wav, ogg, m4a, acc, flac etc. ● Edit information(Title, Album, Artist, Genre). ● Background Conversion and Batch Conversion. 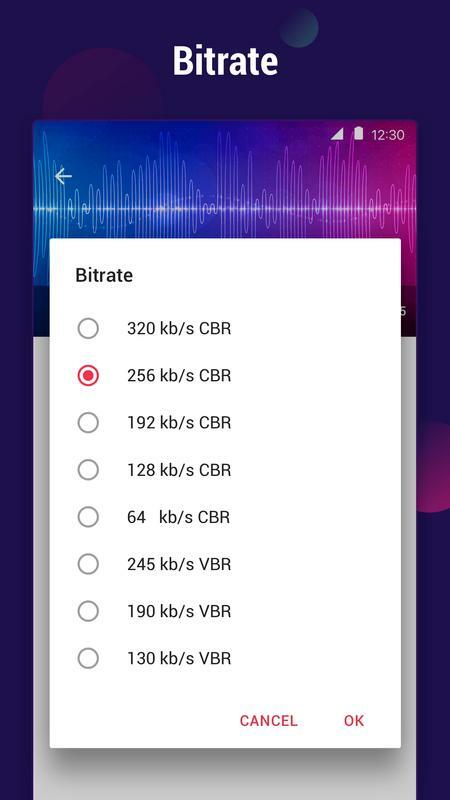 ● Support Bitrate 64kb/s, 128kb/s, 192kb/s, 256kb/s, 320kb/s, etc. With this video cutter, you can trim and cut video files to get your favorite video clips fast. Then you can extract music from the video. 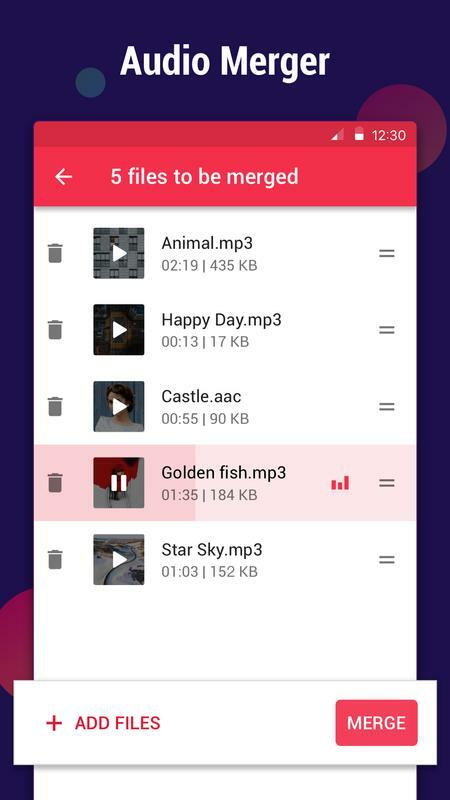 MP3 Video Converter is also a powerful audio cutter and ringtone maker. 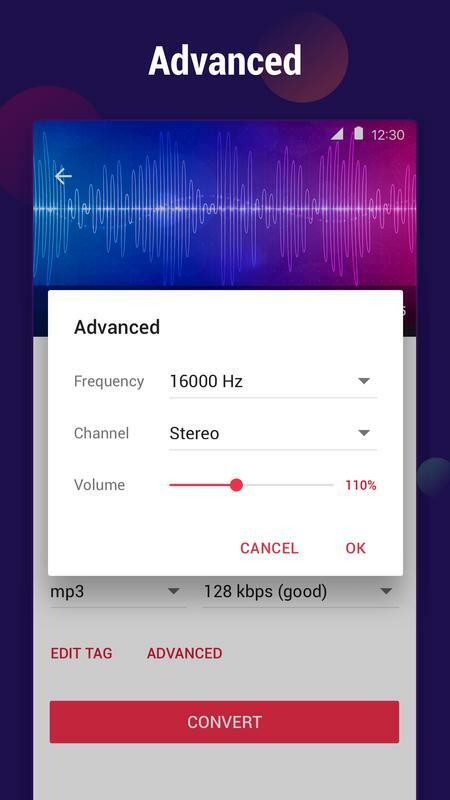 It is designed for video to audio editing, cutting, sharing and set as ringtone or notification sound. A must-have media converter tool with video cutter, mp3 cutter, audio editor, ringtone maker and mp4 to mp3 converter. Convert mp4 to mp3, video to audio, and save as music. You can listen high quality mp3 songs on your phone. 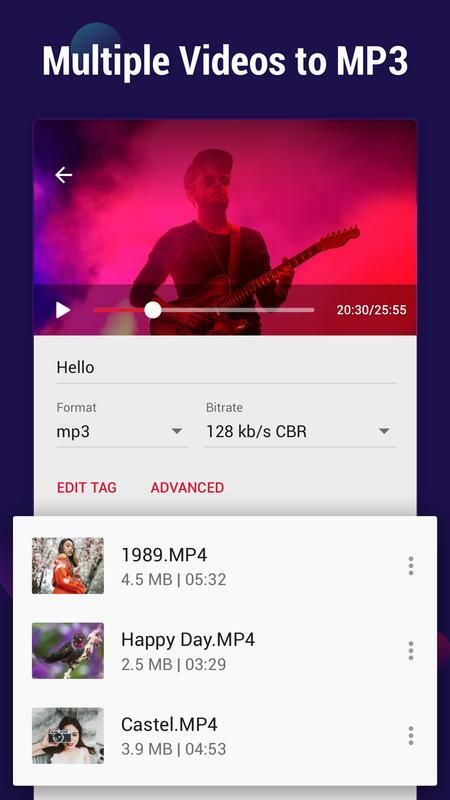 With this great MP3 Video Converter, you can extract music from your favorite videos and set as ringtone. It is the easiest-to-use mp3 converter and video converter. 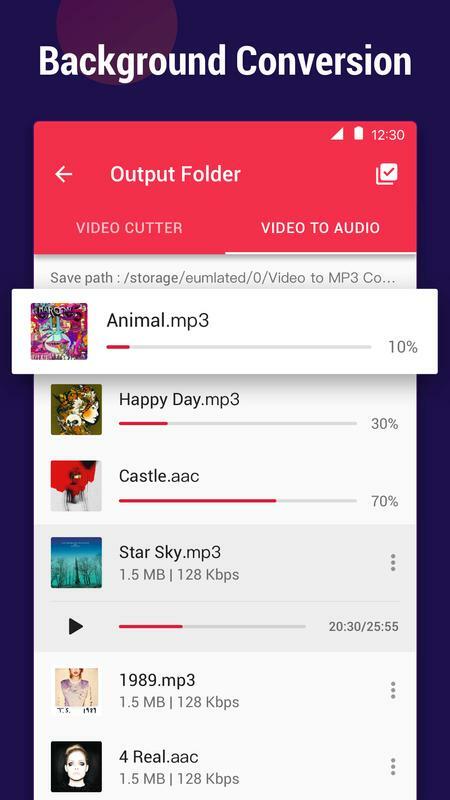 Video to MP3 Converter is the best audio cutter and mp4 to mp3 converter for android. 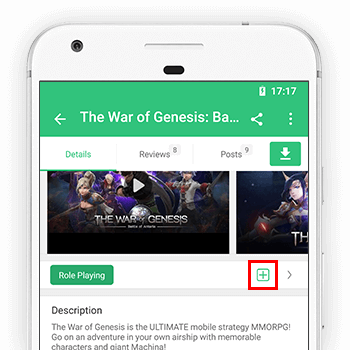 It’s simple, powerful, and totally FREE.